New Map of the Funk Zone! 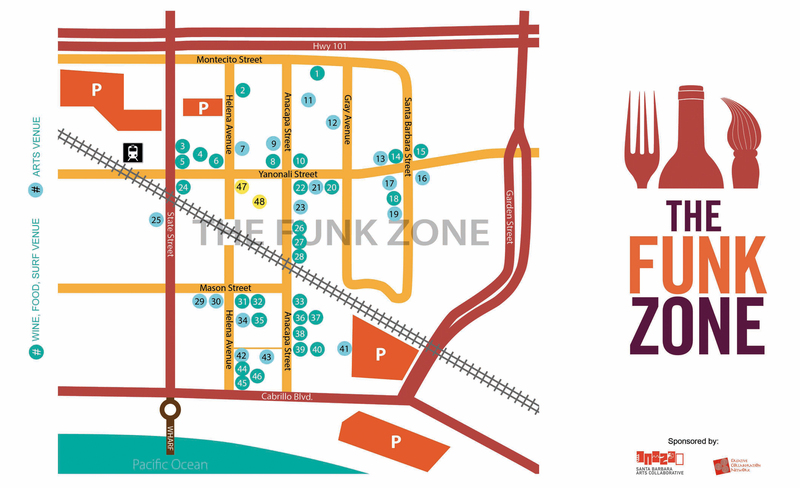 We are in the process of building the new fall 2013 map of the Funk Zone, and if you would like to be represented, let us know. Contact Crista @ wall space gallery for details about how to be included. It isn’t free this time around, we need to all chip in to pay for the production of the maps, but the costs are nominal ( and we mean really nominal) to the benefits of having the map all over town driving traffic to your location. Artists can have their studio listed for as little as $8.33 a month. That’s 2 cups of coffee a month to give up to have people find your space and your work. Don’t miss this opportunity to have people find you. ← Funk Zone Arts Fest happening October 19th! !